I know we’re still in April but the Christmas juggernaut is already in motion. Themes, designs and orders have been finalised and now the making begins. Many Christmas decorations are still handmade and factories across the globe are humming with the sounds of mass production! Skilled artisans can bring most Christmas concepts to life. 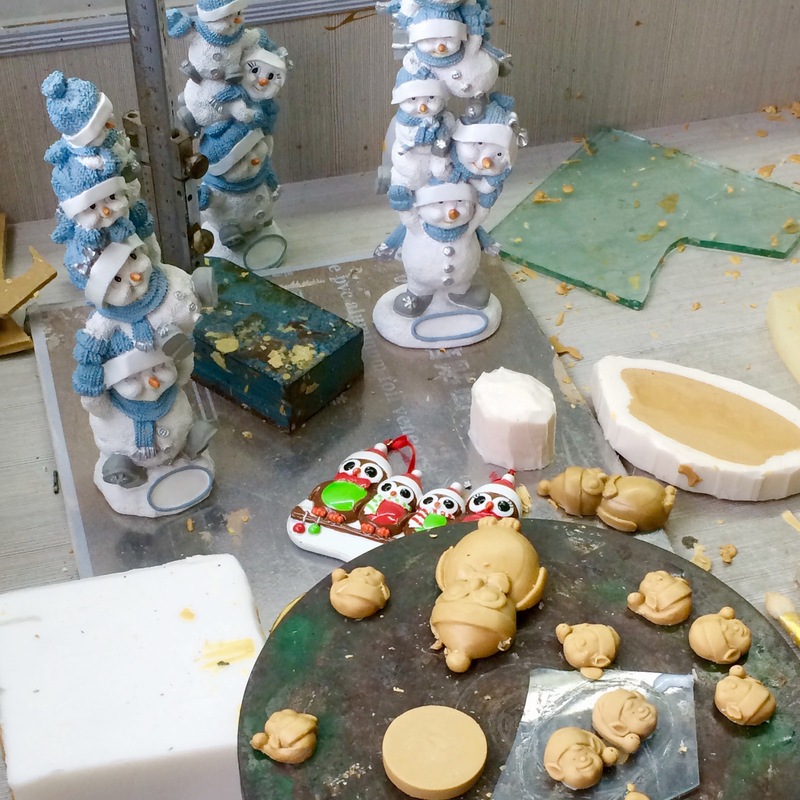 Many mass produced ornaments are made from resin but begin life as clay models rendered by expert workers. Once the prototype is approved it goes into production with a studio of workers painting, printing and varnishing a single object. The next stage is packing, and shipping before products finally reach the shops.